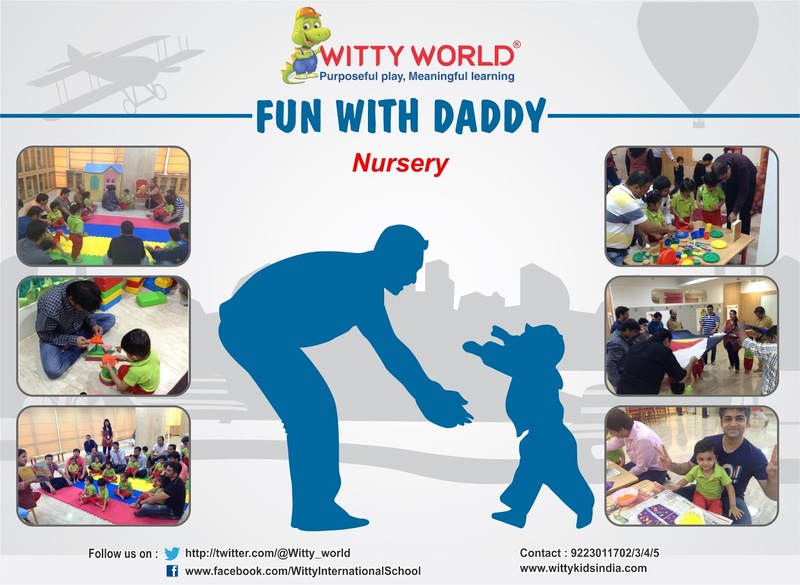 On 23 rd & 24th June,2016 Nursery & Play group section celebrated "Fun With Daddy Day" in Witty World. Little Wittians with their daddies came to school to enjoy their daily school routine. Daddies played games with the parachute, enjoyed a session of music and movement , played games in the soft gym and had fun with story time. Precious memories were created and carried in a 'Treasure chest' made by daddy and child!! !